This mysterious and green talisman is star-born and is considered the result of Mother Earth and a meteoric impact. A rare stone which is only found in Czechoslovakia and gets its name from the area where it is located, which is near the Moldau River also called the Vltava. There are many different theories regarding the origin of Moldavite, but all the scientists agree that it was formed as a result of a massive meteor crash which was nearly 15 Million years ago. Moldavite is believed to be a connectivity stone, as it carries intense frequency along with it. Holding Moldavite in your hand for the first time, you will feel an energy sensation which will gradually grow from its touch to the entire body, this is sometimes experienced instantly but has been known to take time for the beholder to embrace this stone of energy. The ability of Moldavite to accelerate the level of spiritual as well as personal evolution has made it a very sought after healing stone. 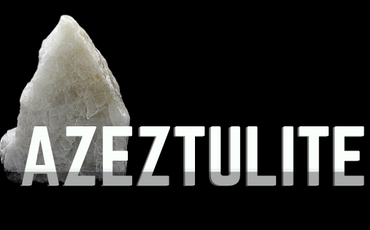 It has life-altering capabilities and is known as the heavenly healing stone. It has a lot of advantages, but can also come with some side effects…. "Experiences of light-headedness or temporary headaches, but most will gradually overcome with time." This green piece of tektite that can help connects weary people to the power of the universe and counteracts cynicism. 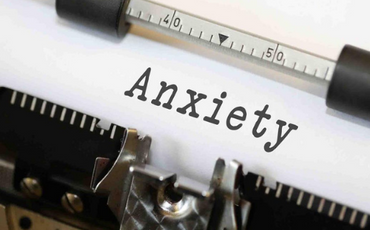 It eliminates doubts, and can help soothe a situation by calming down a person in the case for any worry and allow them to clear their mind, think and consider better options. Wearing Moldavite jewellery or keeping it with you will result in strong vibration energy that will help you resonate with the frequency of the universe, eliminating any harmful energy and in some cases providing a bit of luck to the wearer. Moldavite works wonders when it is combined with other stones, especially the crystalline ones like Quartz and many other different varieties. It is also used in making tools surrounding the use of energy. 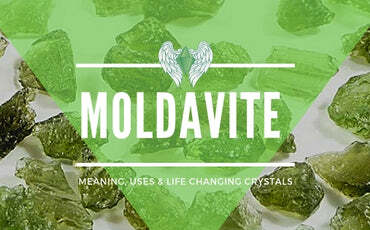 You can intensify the effect of Moldavite by adding them to grids, headbands and other accessories. "See beyond the ordinary to become extraordinary." Moldavite for meditation is extremely powerful and helps to aid in dream-work as well as increasing the sensitivity of a person to a level it starts giving them guidance towards the right path. It makes people aware of the energy around them and to understand the message from a higher realm. It provides the beholder, the ability to feel, think and see beyond the ordinary to become extraordinary. Moldavite can be useful for the sensitive souls and people who find it hard to be in harmony with Earth, and cannot suppress their emotions or sufferings. If placed on one’s heart, Moldavite will allow the person to have a calmer heartbeat and erase any feelings of doubt and to think clearly. Moldavite is considered extremely useful for diagnosis and to highlight the source or cause of any disease or imbalance in the body. It then helps in the healing process by releasing vibrations that aid in healing. Due to its high-intensity vibrations, it re-opens the blocked areas of the body for the body to come back to its original perfect state of being. When you meditate with Moldavite, it will produce rather powerful visions which you may not understand at first because the Brow chakra is not fully activated, but you will start to understand once your Brow Chakra begins to develop and you will merge with the world in front of you and the world above and beyond. You can place Moldavite in your hand or on your Third eye, or any other chakra that you feel is out of order and needs to be aligned or activate and run properly. 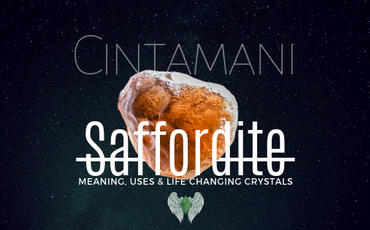 if one Chakra of your body is out of place, your other chakras will lose harmony, in such a case where you feel your chakras are out of balance or proportion, you can meditate with Moldavite as this will help in harmonizing them and in bringing all the chakras together to generate a powerful sense of connection, clear thinking and understanding. "Moldavite will help you balance out your emotional needs and in stabilizing your thought process." It also elevates and opens the third eye in your Crown Chakras. The Third eye also called the Brow Chakra is considered as the centre of command and perception. It generates intense energy for you to open your eyes to the world beyond your sight and to feel that awareness which gives reason to the unknown energies and power around us. With the Brow Chakra intact, you can feel that your thoughts and internal communications are vibrant and healthy beyond the normal and will give you positive energy that you haven’t experienced before. It will give you a new perspective and outlook on things and help you to devise a decision based on the newfound positive energy in you. Moldavite is available in different shades of green depending upon its grade; the light green coloured Moldavite which are more common promotes the commitment and renewal of that commitment to the higher purpose of life. The one with a darker shade of green is more emphasised upon the spiritual side of humans. It connects the person wearing it to the spiritual realm and help them to grow both in person and spiritually. Moldavite can also be used in combination of other stones to help reduce the intense vibrations of it, especially with crystals like the Clear Quartz; you can reduce the intense vibrations of Moldavite. Moldavite due to its utmost qualities and characteristics has become a bit expensive over the years. There are many fakes available out there in the market; you need to be very careful regarding that because a fake Moldavite will not be of any use. Make sure to buy Moldavite from a reputable source and confirm the grade of Moldavite for achieving the maximum benefits from it. You can easily carry Moldavite jewellery in the form of a bracelet which not looks fashionable because of its unique colour and more importantly it will help you to be more relaxed and energized throughout the day.